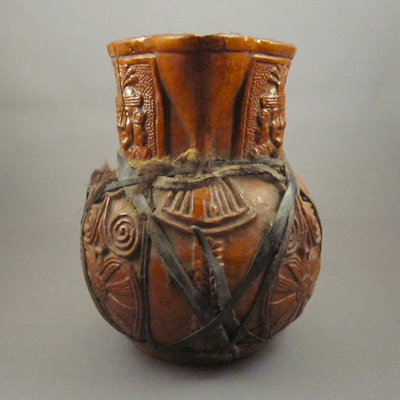 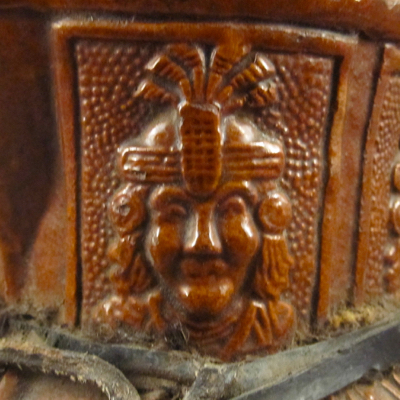 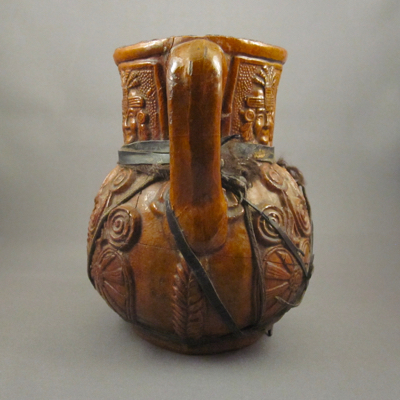 This baluster-form pottery chicha jug was made from natural red clay in Boliva or Peru in 1908. 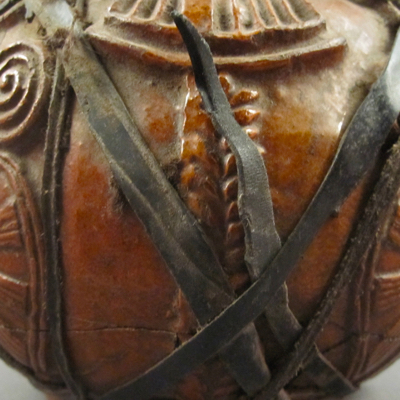 It is decorated with deep carvings, including “Indio” faces and geometric forms and measures 5.75 inches high and 5 inches wide. 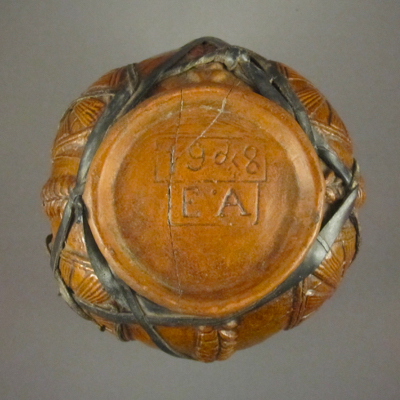 On the underside is a bold incised mark “1908 EA.” Chicha is a fermented beverage made in South and Central America from grains, maize or fruit. 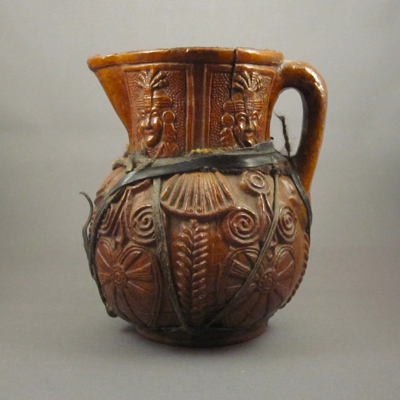 A true survivor, this little jug suffered much damage early on but is still intact 109 years later. 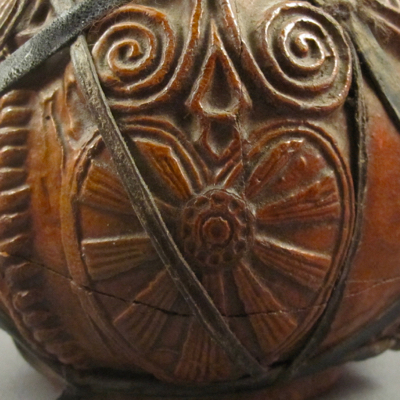 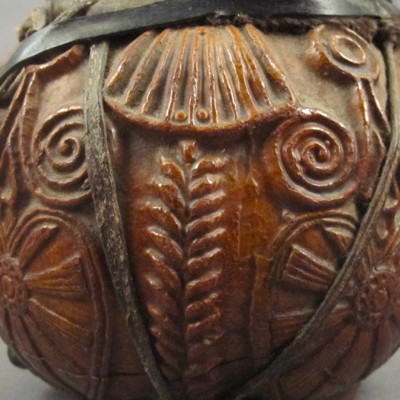 With its elaborate design and intricate details, it must have been treasured by its owner and was preserved for future generations using whatever materials were available. 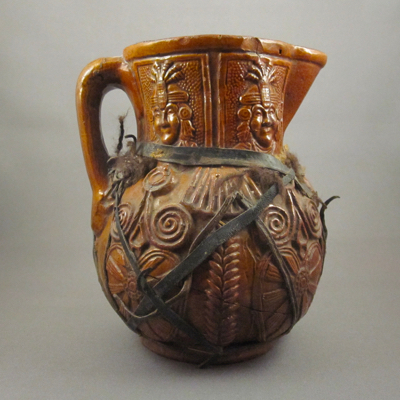 By wrapping thin leather strips tightly around the multiple fractures, the jug was able to function once again and saved from the junk pile. 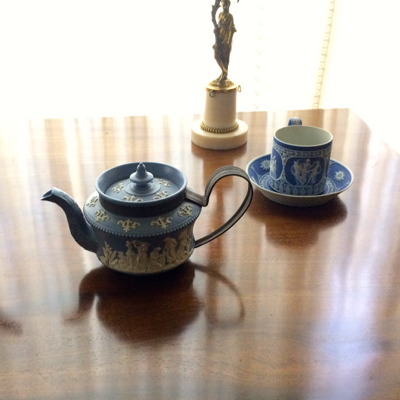 It goes without saying that I am certainly glad it wasn’t just thrown out with the garbage. 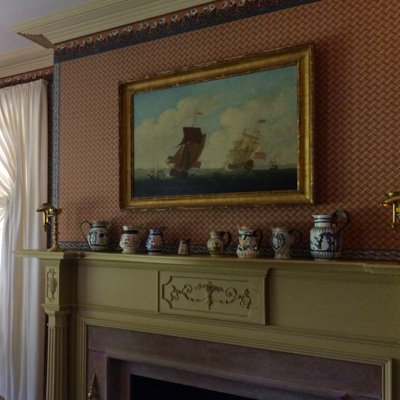 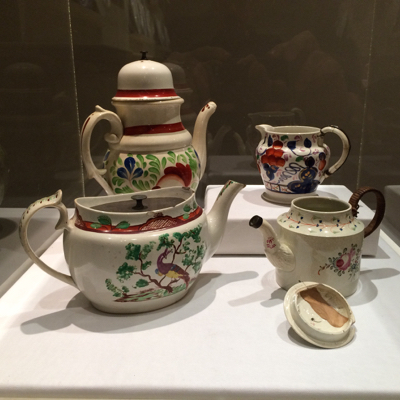 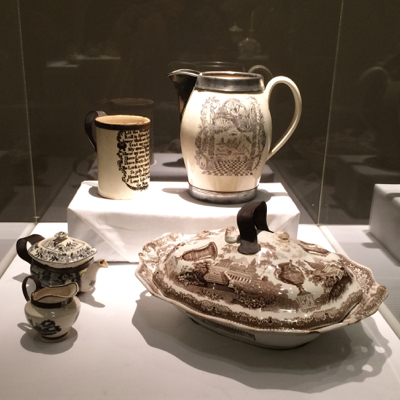 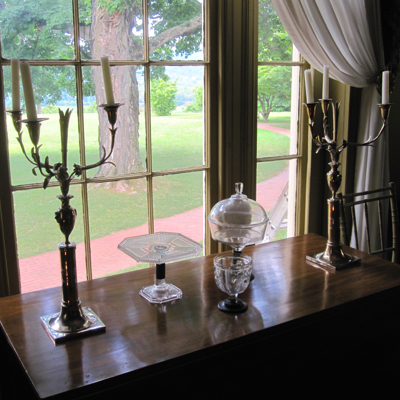 Boscobel exhibit extended one week! 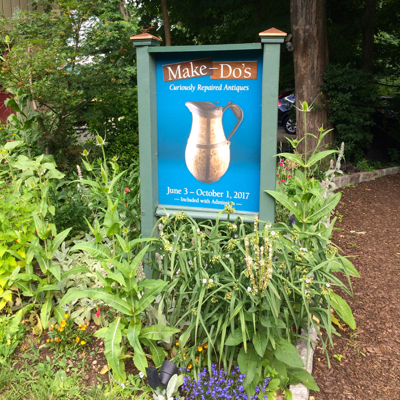 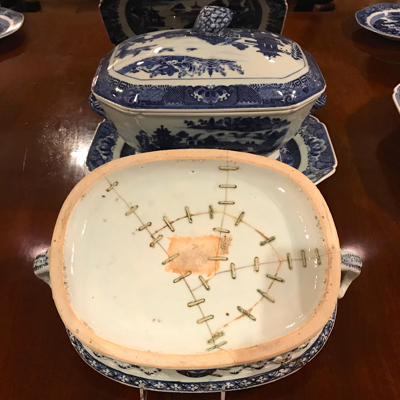 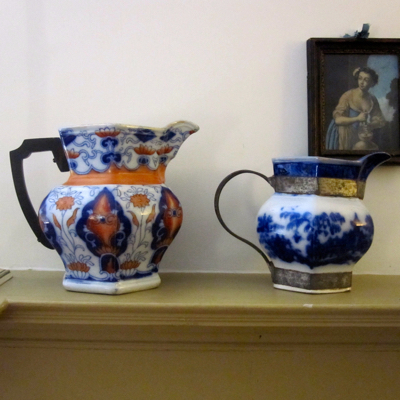 Due to an outcry from a throng of adoring fans of antiques with inventive repairs, the powers that be at Boscobel House and Gardens have agreed to extended the exhibit, Make-Do’s: Curiously Repaired Antiques. 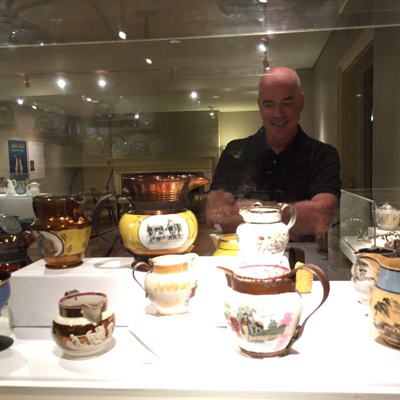 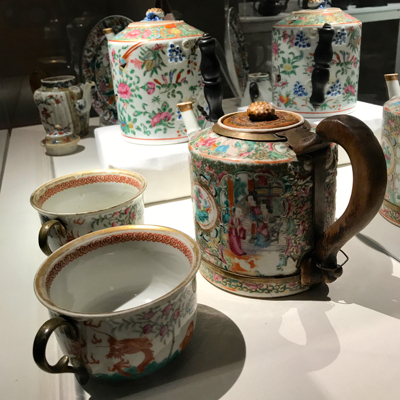 For those of you who did not get the chance to see it, or for those who would like to see it again, you now have until next Sunday, October 8th, to witness the beauty of Boscobel and see hundreds of examples from my collection.